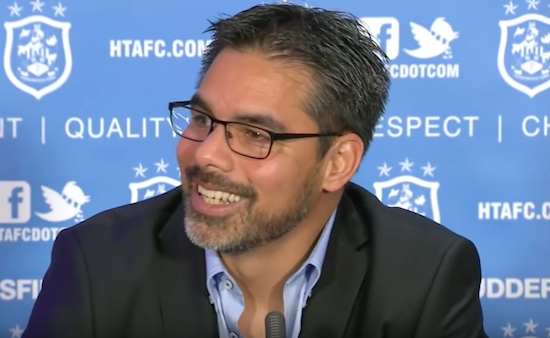 For a man on the verge of very big things, David Wagner is utterly absorbed by the smallest of details. Just 13 months after he took charge of Huddersfield, he’s taken the unfancied Yorkshire club to fourth in the Championship, bringing the prospect of top-flight football – and a clash with his one time boss and long-term friend Jurgen Klopp – into ever sharper focus. The 45-year-old German was a shock appointment back in November 2015, when the Terriers decided to take a chance and appoint a man with no first-team managerial experience and self-professed “crazy ideas”. “There are hundreds, more than hundreds, of small pieces that are the reasons why we’ve achieved what we have so far,” Wagner says from his office in a newly developed building behind the pristine pitches of Huddersfield’s Canalside training facility. “The unity and togetherness we have plays a big part but there’s recruitment, the positive atmosphere and all the development off the pitch. Graft, togetherness and attention to detail are ideas that Wagner eulogises again and again, in fluent English that’s gone native enough to be liberally sprinkled with the footballing cliche “to be fair”. Of course, he wasn’t always as comfortable with life as a Championship manager. When Wagner joined Huddersfield, he was thrown into a league and country that he’d never paid much attention to. 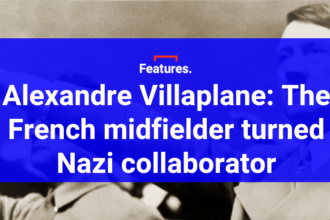 His playing career was spent entirely in his homeland – with Mainz and Schalke among his former clubs – although he did play for the USA thanks to an American father. The former Borussia Dortmund reserve team boss replaced Chris Powell during the November international break in 2015. In a move that speaks to the decisive and positive nature that informs his management, he immediately decided that, rather than getting to know everyone at his new place of work, he’d take them all to Marbella for a week. It didn’t work straight away. Wagner lost his first two games in England but he wasn’t to be deterred. Come this pre-season, after the Terriers fell away towards the end of last term, Wagner took his players to a remote location in Sweden for four days without a football in sight. There were no toilets or beds, no electricity and players had to catch their own food. That did work. Huddersfield won five of their first six league games and, after a slight wobble, have won five of their last six. But for Wagner, that just means it’s time to work even harder. Double training sessions are commonplace, he adjusts training times to match kick-off times and insists the players live within 15 miles of the stadium – practices common in German football. His work as Dortmund’s second team manager under Klopp, and as a youth coach at Hoffenheim, allowed him to forge an identity away from the spotlight. Talking to The Set Pieces, Wagner reels off the fundamental pillars of his footballing ideology – one he consistently calls ‘The Terriers’ Style’ – without hesitation. “We want speed in our game, everything full throttle, we want aggression, we like to press high, we like to keep the ball, we like to show emotion,” he says. Wagner admits that many players were initially wary of his methods but said success is guaranteed to turn players into converts. He recalls talking with his assistant, fellow Dortmund alumnus Christoph Bühler, soon after taking the job and deciding that half measures were not an option. If the tactical similarities with another German manager in England’s north-west are apparent, that’s just of the start of it. Though Wagner is clearly a man who knows his own mind, there’s little escaping the similarities with Klopp, who is a godfather to one of Wagner’s children. The pair played together at Mainz, spent four years together at Dortmund, and Wagner was the best man at Klopp’s wedding. As well as a hard-pressing, relentless tactical approach, the pair share a penchant for stylish spectacles and straight talking. Wagner says he still speaks to the Liverpool boss a few times a week and they have visited each other several times since arriving in the country within a month of each other. The two bosses openly discuss tactics in their regular chats and Wagner laughs off the suggestion that these might have to stop should his side reach the Premier League. Wagner chuckles again before clarifying the pair opted for water rather than anything stronger – “professional” he smiles. As Wagner speaks, several of his players go through their paces in the gym next to his office. He’s right in the middle of the festive football period that was another facet of the job utterly new to him this time last year. He says that, were it his choice, Christmas would be a family time but he has embraced football without a winter break. He believes the real challenge of the packed fixture list is keeping players mentally focused over a long season, rather than maintaining their physical fitness. Huddersfield’s recent form suggests he’s on the right track. The changes he’s made to his coaching style as a result of the relentless scheduling of the Championship – more time off for the players in international breaks, training programmes that can be done at home, a constant search for new and innovative drills – are among several tweaks he’s had to make since coming to England. To Wagner, who says he feels at home in Huddersfield, that’s all part of the fun. The bullish response both he and his chairman Dean Hoyle offered when German outlets linked him to Bundesliga strugglers Wolfsburg shortly before Christmas are proof of his commitment to his current position. “I’m very happy here. 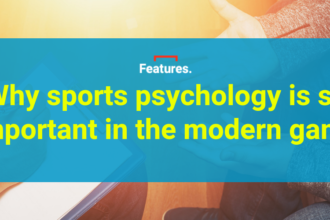 I’ve got the chance to create, to develop and to implement something,” he says, before admitting that thoughts of the future are dangerous for managers in a league where the hot seat is never less than scalding. Right now, you’d be hard pushed to find a Huddersfield fan that would object to that.